If your focus zone lies in a completely quiet place, and your work demands silence all day, then this one is for you. 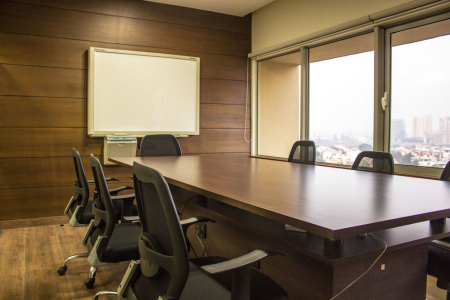 On the 6th floor of Nirvana Courtyard, the business centre has been built thoughtfully with places for the members to meet, network and cowork. If you’re working from a cabin, you’d be sure to catch the perfect country view. By day, catch up on meetings in the sunlit meeting room with a beautiful view, and by night, take your team out for a treat at C’est la Vie or take a quiet stroll to clear your head on Nirvana Country roads. 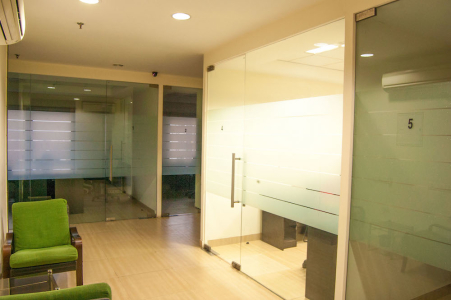 At our office space on Nirvana Courtyard, Gurgaon, our offerings are always a step ahead of your needs. 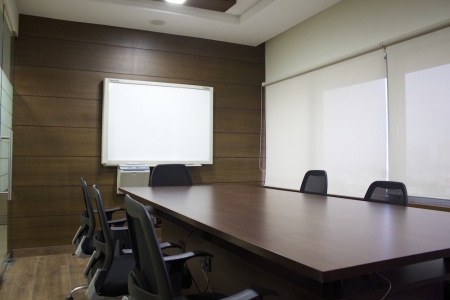 Various configurations include private cabins of different sizes and fully-equipped meeting rooms. Nirvana Courtyard is set right in the heart of Nirvana Country, which is a premium residential area located in Sector-50. Some notable landmarks around would be Baani Square and Good Earth City Centre. Being a residential area, the place is very quiet even during the day, which contributes to the calm and peaceful environment outside the business centre at all times. Further, the place is very safe even in late hours, and is guarded 24x7. Hailing a cab or an auto is easy. Take the exit 10 from NH-8 and drive down straight crossing Medanta on your right. Take right onto Vikas Marg from 2nd crossing followed by 1st left onto Nirvana courtyard road. After 800m turn right inside the gate at Nirvana courtyard. Get down at Huda City centre and take a shuttle or an auto. 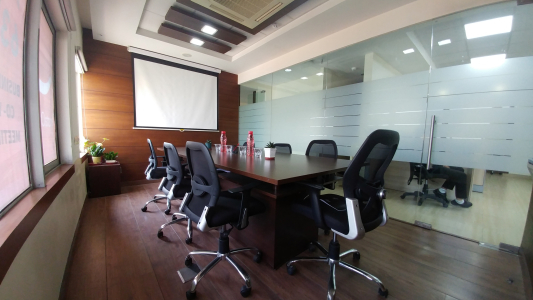 The office is 4.9kms from HUDA metro station. 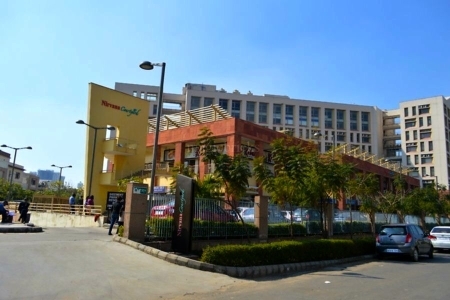 With multiple places like Good Earth City Centre and Baani Square in close proximity to Nirvana Country, Sohna Road (3km) and Golf Course Extension Road (550m) are not too far away, making multiple other places like Omaxe Gurgaon Mall, Omaxe City Centre, Ninex Mart, Vatika City and Raheja Mall very accessible. Nirvana Courtyard is a marketplace situated in Nirvana Country, Sector-50. Other companies present in Nirvana Courtyard include Skillzen learning solutions, Grameen Foundation India, QubeStack, KCC Buildcon Pvt. Ltd, Salto Dee Fe and Acknown Technologies Pvt. Ltd. There are multiple utility shops all around, making sure you don’t have to step out of the building for anything except taking a cab home. From bakeries, frozen yogur and amazing Italian food to a stationary, designer boutiques, kitchen utlities, gift shops, departmental shops and salons, Nirvana Courtyard has it all. How far is the place from the metro? 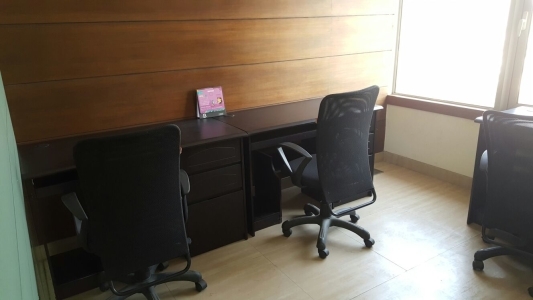 InstaOffice Business Centre at Nirvana Courtyard is 7.5 kms (20 Mins) away from the nearest Metro Station i.e. Huda City Centre. There are multiples hospitals in the vicinity like Cloudnine Hospital, Jain Hospital, Arihant Hospital - the nearest one being Fortis Hospital. With Baani Square, Ninex Mart and Omaxe City Centre just 10 minutes away, there are a lot of options to have a fulfilling meal if you’re on a budget. The nearest hotel from the centre is Hotel Formule1 and other multiple options for accommodation are Fortune Select Excalibur, Hilton Garden Inn, and Cinnamon Homestay. The vicinity houses many good restaurants for a team dinner like Dana Choga, Food United, Rock e Adda. Also, Good Earth City Centre at a distance of 2.5 km, being a mall, has multiple eatout places - Yo China, Chaayos, Subway, Domino's, The Calorie Kitchen, New York Slice and InstaPizza. 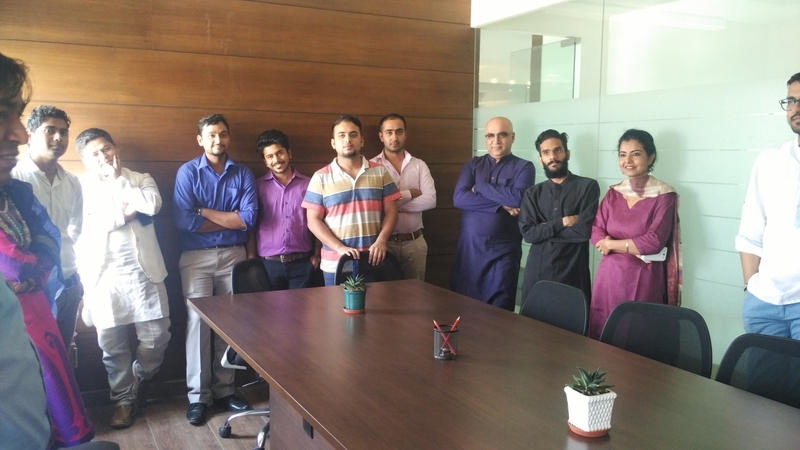 If you’re looking to watch a movie or taking your team out to ice skating at Ambience Mall, various malls like Omaxe CIty Centre, or Raheja Mall have a lot to offer. An outing to the beautiful Damdama lake would also be a great break from a long and tiring week at work.